For those of you that missed his presentation at the UPC Conference, Vasile Stanescu blew more than a few peoples’ minds as he presented his academic discourse on the myths of the locavore movement. Filed under: For the Environment, Local Events, Reportback | Tags: Boycott Uncle Julio's Rio Grande Cafe, Save the Frogs! On Saturday, September 4th protestors of all ages took to the streets to demand that Uncle Julio’s Rio Grande Cafe stop selling frog legs. Not only does the consumption of frogs deplete wild populations, but it also causes the spread of infectious diseases and invasive species. Currently, one-third of amphibian species are threatened with extinction, and over 200 species have disappeared in recent years. “Supporters of the environmental conservation group Save The Frogs congregated outside the Uncle Julio’s Rio Grande Café in Arlington, Virginia yesterday to protest the restaurant chain’s sales of frog legs. Far from your ordinary protest though, the majority of the protesters were under the age of 13. 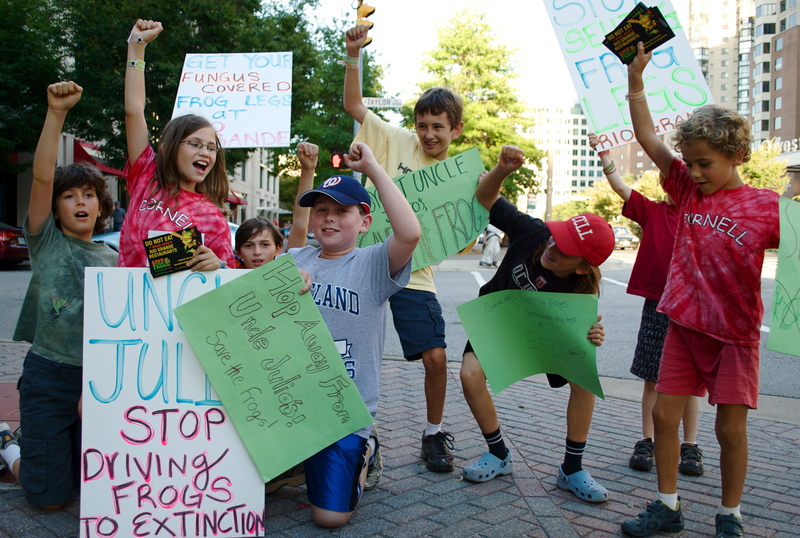 Eight middle and elementary school students joined two George Mason University students and five others to raise awareness of the rapid disappearance of frog species worldwide — and the Rio Grande Café’s contribution to the problem. This was the largest protest in defense of frog populations in the planet’s history, and signifies a growing movement to save the world’s remaining amphibian species, one-third of which are on the verge of extinction. These farm-raised bullfrogs are known carriers of a deadly skin disease called chytridiomycosis, which has caused the extinction of up to 100 amphibian species worldwide. As well as spreading the deadly chytrid fungus, the bullfrogs are harmful invasive species. Being farmed around the world has allowed them to invade 15 countries outside their native range, where they eat native frogs and other wildlife, damaging ecosystems. Learn more and sign the petition! 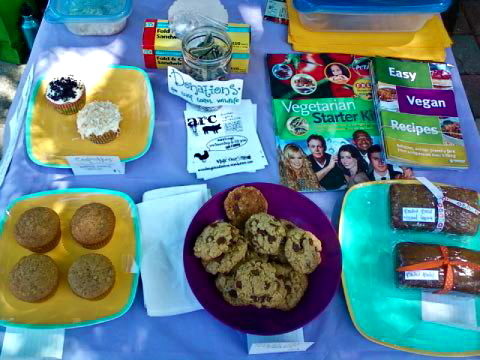 ARC had a small Worldwide Vegan Bake Sale in the midst of finals. We still had some yummy vegan treats though, including mini banana bread loaves with coconut topping, organic apple muffins, toasted coconut or vanilla cupcakes, and “buttery” chocolate-chip oatmeal cookies. The proceeds went to grassroots wildlife rescue along the Gulf Coast in response to the devastating BP oil spill. Thanks to everyone that donated and helped out! This oil spill is far worse that the notorious Exxon-Valdez spill of 1989, releasing that same amount of oil as that disaster – every four days! Find out more, and boycott BP! Donate to wildlife rescue efforts in the Gulf coast! Tri-State Bird Rescue & Research and the International Bird Rescue Research Center. 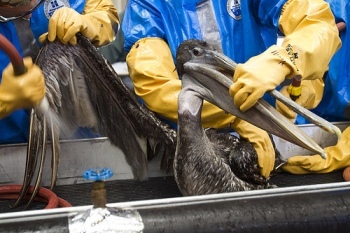 A Brown Pelican being washed at the Fort Jackson, Louisiana rescue center. Photo from Tri-State Bird Rescue and International Bird Rescue Research Center. The National Geographic Channel will air a documentary on the Deepwater Horizon blowout which sent oil gushing towards the coastlines oof Mississippi, Louisiana, Florida, and Alabama. “Gulf Oil Spill,” Thursday May 27th at 9pm, more info. Last week the Washington Post ran two articles focusing on the devastating impacts that the meat industry has on our environment. 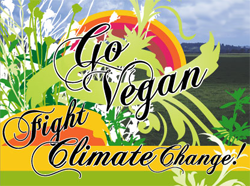 Respect Mother Earth, go vegan! Nearly 40 years after the first Earth Day, this is irony: The United States has reduced the manmade pollutants that left its waterways dead, discolored and occasionally flammable. But now, it has managed to smother the same waters with the most natural stuff in the world. Animal manure, a byproduct as old as agriculture, has become an unlikely modern pollution problem, scientists and environmentalists say. The country simply has more dung than it can handle: Crowded together at a new breed of megafarms, livestock produce three times as much waste as people, more than can be recycled as fertilizer for nearby fields. That excess manure gives off air pollutants, and it is the country’s fastest-growing large source of methane, a greenhouse gas. And it washes down with the rain, helping to cause the 230 oxygen-deprived “dead zones” that have proliferated along the U.S. coast. In the Chesapeake Bay, about one-fourth of the pollution that leads to dead zones can be traced to the back ends of cows, pigs, chickens and turkeys. Despite its impact, manure has not been as strictly regulated as more familiar pollution problems, like human sewage, acid rain or industrial waste. The Obama administration has made moves to change that but already has found itself facing off with farm interests, entangled in the contentious politics of poop. In recent months, Oklahoma has battled poultry companies from Arkansas in court, blaming their birds’ waste for slimy and deadened rivers downstream. In Florida, the U.S. Environmental Protection Agency proposed first-of-their-kind limits on pollutants found in manure. In the Senate, Benjamin L. Cardin (D-Md.) has proposed a bill that would allow farmers in the Chesapeake watershed to cut pollution more than required and sell the extra “credits” to other polluters. The EPA, in the middle of an overhaul for the failed Chesapeake cleanup, also has threatened to tighten rules on large farms. “We now know that we have more nutrient pollution from animals in the Chesapeake Bay watershed” than from human sewage, said J. Charles Fox, the EPA’s new Chesapeake czar. 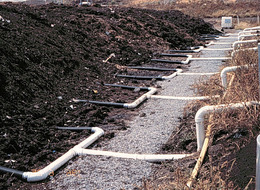 “Nutrients” is the scientific word for the main pollutants found in manure, treated sewage, and runoff from fertilized lawns. They are the bay’s chief evil, feeding unnatural algae blooms that cause dead zones. Around the country, agricultural interests have fought back against moves like these, saying that new rules on manure could mean crushing new costs for farmers. “It’s clearly going to put a squeeze on people that they’ve always said they didn’t want to squeeze,” including family-run farms, said Don Parrish of the American Farm Bureau Federation. The story of manure is already a gloomy counterpoint to the triumphs in fighting pollution since the first Earth Day in 1970. An air pollutant that causes acid rain has been cut by 56 percent. By one measure, the output from sewage plants got 45 percent cleaner. But, according to Cornell University researchers, the amount of one key pollutant — nitrogen — entering the environment in manure has increased by at least 60 percent since the 1970s. The reasons for manure’s rise as a pollutant have to do, environmentalists say, with a shift in agriculture and a soft spot in the law. 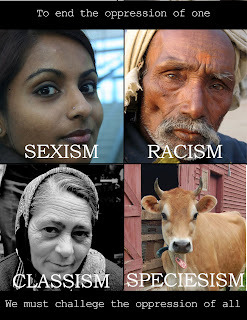 In recent decades, livestock raising has shifted to a smaller number of large farms. At these places, with thousands of hogs or hundreds of thousands of chickens, the old self-contained cycle of farming — manure feeds the crops, then the crops feed the animals — is overwhelmed by the large amount of waste. The result in farming-heavy places has been too much manure and too little to do with it. In the air, that extra manure can dry into dust, forming a “brown fog.” It can emit substances that contribute to climate change. And it can give off a smell like a punch to the stomach. In the water, the chemicals in manure don’t poison life, like pesticides or spilled oil. 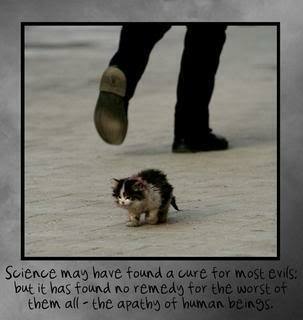 Instead, they create too much life, and the wrong kinds. “You get Miracle-Gro for your water,” said David Guest, a lawyer for the group Earthjustice who has fought for tougher limits on pollution in Florida. The chemicals in manure serve as fertilizer for unnatural algae blooms. 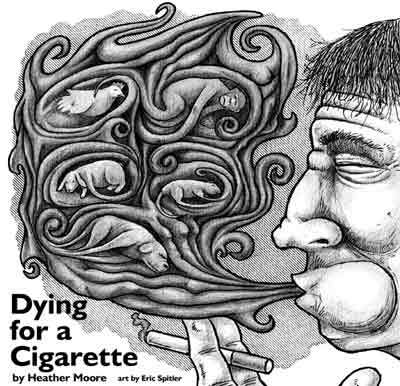 They drain away oxygen as they decompose. Scientists say the number of suffocating dead zones — oxygen-depleted areas where even worms and clams climb out of the mud, desperate to respire — has grown from 16 in the 1950s to at least 230 today. The Chesapeake’s is usually the country’s third largest, after the Gulf of Mexico and Lake Erie. The law, however, has treated manure and other agricultural pollutants differently than pollutants from smokestacks and sewer pipes. The EPA does not set a hard cap on how much manure can wash off farms, instead issuing guidelines that apply only to the largest operations. There, the rules might limit how much manure farmers can spread on individual fields, for instance, or order them to plant grassy strips along riverbanks to filter manure-laden runoff. Even that level of regulation has only been in place since the 1990s. But now, the EPA has signaled an intent to tighten its grip. Last Monday, the agency announced that reducing manure-laden runoff was one of its six “national enforcement initiatives.” New rules went into effect in December that will impose even tighter restrictions on large farms. Last fall, the U.S. Department of Agriculture also considered a change to its guidelines, which would have limited the amount of manure farmers could apply to their fields. But then it scrapped that idea, saying the issue needed more study. Last week on the Eastern Shore, where farmers raised 568 million chickens last year, the problem of excess manure was still big enough to see from the road. “See how dark that one pile is? That’s chicken manure,” said Kathy Phillips, 61, an environmental activist who patrols the peninsula for piles of manure stored outdoors. As a steady rain fell, she said that pollutants were probably leaching off that mound — as tall as a van and the color of dark-roast coffee– and into ditch water that would eventually reach the Pocomoke River, then the Chesapeake. Phillips usually surveys these piles from the air. She has a mental map of dozens of these off-smelling mounds. A few miles north, the poultry giant Perdue has come up with one way to dispose of excess manure. At a $13 million plant outside Seaford, Del., tons of poultry manure are dried, heated to kill off bacteria and compressed into pellets of organic fertilizer that is sold to golf courses or homeowners. That helps Chesapeake’s manure problem, but it isn’t the whole solution. Luna said there is enough manure on the Shore to keep more plants like this running– but Perdue isn’t planning to build more yet. So far, the fertilizer doesn’t sell well enough to make that cost-effective. Environmental activists filed suit Tuesday against the poultry giant Perdue Farms and an Eastern Shore farm where Perdue chickens are raised, contending that the farm is polluting the Chesapeake Bay with manure-laden runoff. The suit, filed by the Assateague Coastal Trust, says that water flowing off the farm near Berlin, Md., carries high levels of bacteria, as well as pollutants blamed for the Chesapeake’s “dead zones.” Environmentalists said they think the farm’s owners store chicken manure in large outdoor piles near ditches, where it is likely to run off with the rain. To learn more about how meat wastes land, water, food, rain forest, and energy resources, click here.